There is something endearing about guys who wear grandpa cardigans. It's like they are giving you a peek into their future. Also, the cardigan matches his shoes. 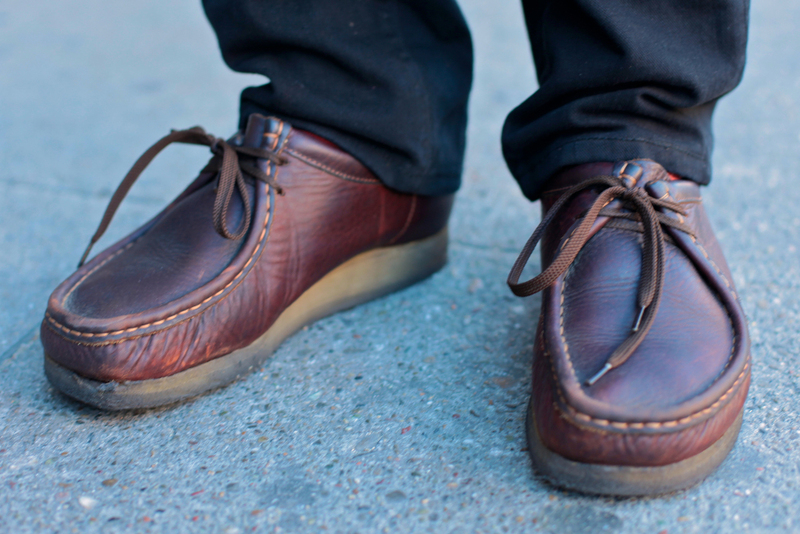 Ah, Clarks® again. I'm always tempted to put a halo around these shoes, just because I *heart* them that much. Vote in the comments if you like Jason's outfit and want him to win the dinner giveaway at MSF. Yes to Jason! This is my uniform. grandpa cardigans should always win. adorable. he gets my vote. simple and functional. vote for jason!